In the EdS program, we have the unique opportunity to demonstrate our knowledge through an experience known as STEPPS. This is essentially a simulated parent feedback experience in which trained actors pretend to be the parents of a referred child and listen as you explain the results of “your” evaluation. My first experience with STEPPS was tonight and it was great! But really, it was a great experience. I set up an agenda for our meeting and I explained the report results, listened to parent concerns, and discussed what the next step in the evaluation process would be. I made sure to ask clarifying questions such as, “Does that make sense?” and “Do you have any further questions?” to ensure that the “parent” was following and had an opportunity to be heard. 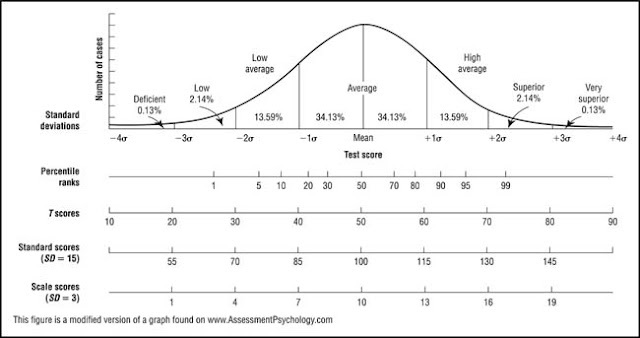 I even brought out a laminated normal curve to explain standard scores and percentile ranks. After the meeting, the “parent” left and both the "parent" and I had time to fill out an evaluation of the experience including comments about the flow of the meeting, the connection between the "parent" and I, and how well I incorporated the "parent" concerns into my feedback. After ten minutes, the “parent” returned and we had a conversation about how we thought the meeting went and whether I could make any improvements. The feedback that I received was very helpful. At times, I spoke a little fast which could be interpreted as rushing the meeting. But I also received feedback that I connected well with the "parents", was empathic to their situation and child, and gave just enough detail about the results without inundating the parent with jargon. I was videotaped during each session and these tapes will be sent to school psychologists to be reviewed and commented on. The STEPPS experience will occur again next year and I expect to see improvements in my delivery, approach, and knowledge!